Astor is a unincorporated village on State Road 40 as it crosses the St Johns River at the eastern edge of the Ocala National Forest. It is on the west bank in Lake County. 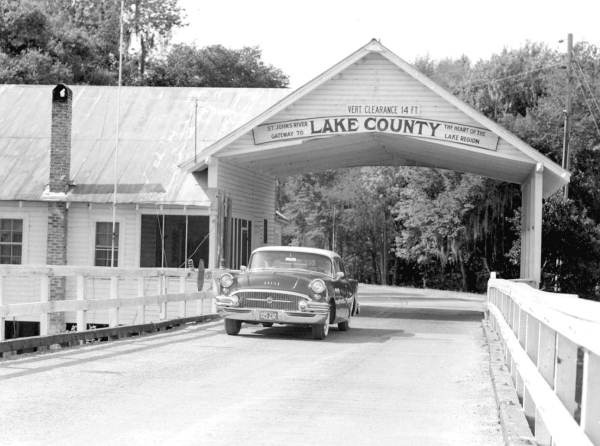 The quaint covered bridge was still there in 1957 as the photo shows, but has been replaced a couple of times with more modern bridges. The unincorporated settlement along the east bank of the river is in Volusia County and is officially known as Volusia. Most folks call both sides of the river Astor. Astor has a large network of man made canals that provides access to the St Johns River for its many fishing oriented residents. 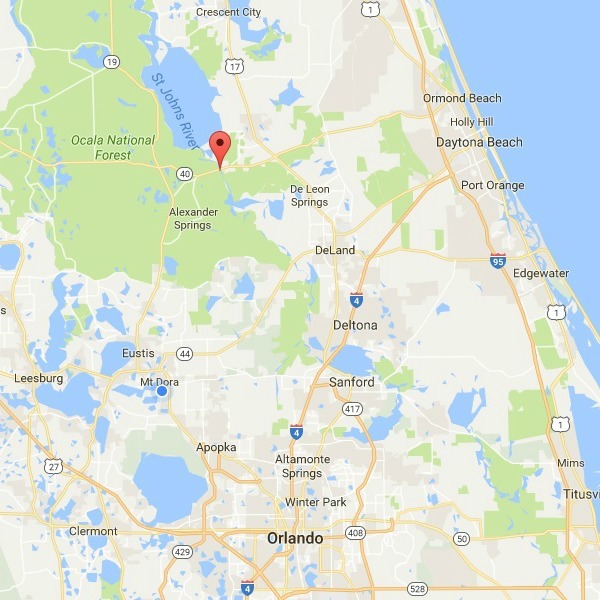 The entire area called Astor is within the boundaries of the Ocala National Forest. The roots of modern day Astor go back to 1874 when William B. Astor, Jr. bought 12,000 acres of land along the river and named it Manhattan. Astor was a descendant of the extremely wealthy John Jacob Astor, America's first multi-millionaire. Early settlers in Manhattan came by steamboat down the St Johns River. Astor built a church, school, botanical garden and cemetery. He followed up with a sawmill and hotel and built the St John's and Lake Eustis Railway to Eustis and Leesburg. When William Astor died in 1892, the residents renamed the town Astor. Astor's children inherited the Florida land but had no interest in developing it, so the properties were sold. The railroad put a real crimp in steamboat travel on the St Johns and the town began a quick decline. 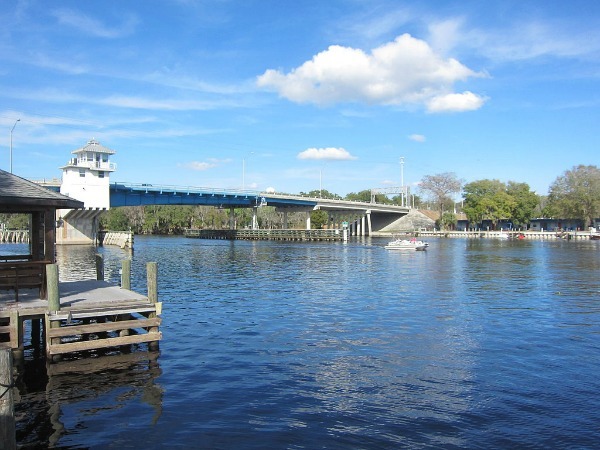 The last major construction in town was the bridge across the St Johns River in 1926. Major attractions in Astor today are the Blackwater Inn on the west side of the river and Astor Bridge Marina across from it on the east side. Blackwater is noted for its good seafood and great river views from the main dining room downstairs and Williams Landing on the second floor. 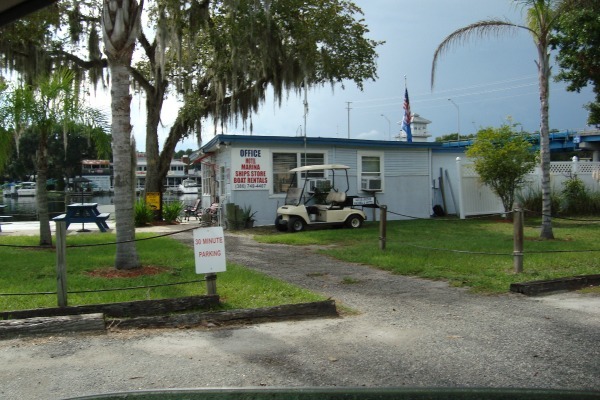 Both of these facilities are headquarters for boat rentals and boat tours, and Astor Bridge Marina has rooms for rent. Lighthouse Grill is another restaurant that is popular. 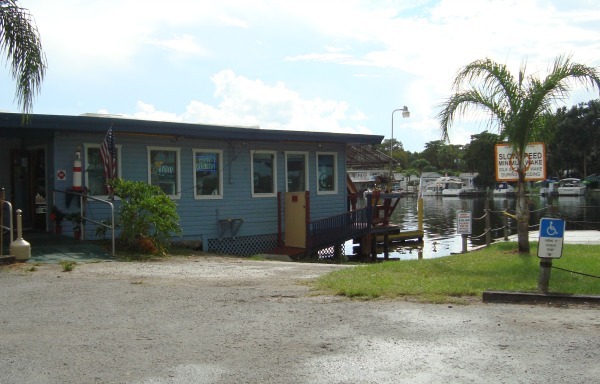 It is across the river from the Blackwater Inn adjacent to the Astor Bridge Marina. You can see it in the center pane of the Williams Landing window in the photo above and a closer view in the photo below. Many Astor residents commute either west to the larger Lake County towns or east to the Daytona Beach area for their jobs. The community also relies heavily on ecotourism and is a popular destination for fishermen, hunters and boaters. 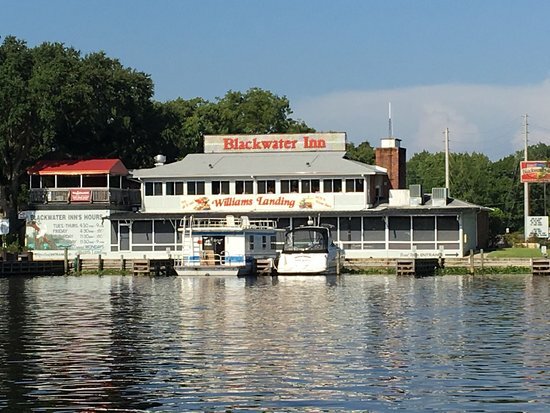 Blackwater Inn is in Astor on the west bank of the St. Johns River where State Road 40 crosses over on its way from Ormond Beach to Ocala through the Ocala National Forest. 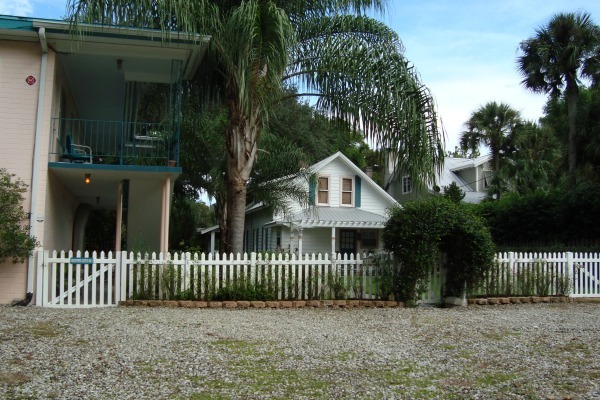 This quiet river crossing is a slice of Old Florida, and so is the inn. The inn has long glass windows overlooking the river, and is a good place to soak up the local atmosphere while having some above average food. You can reach the Inn either by car or boat; there are docks to tie off your boat while you enjoy the restaurant. 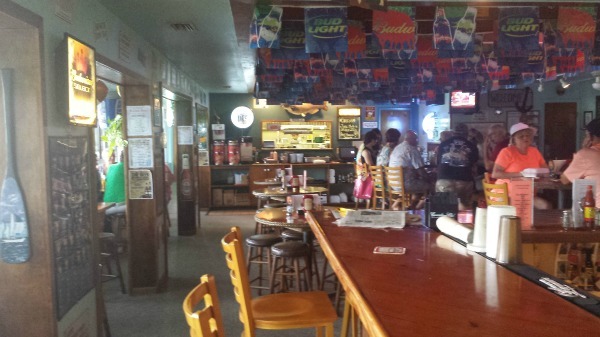 This is not a fancy place, no linen tablecloths or napkins, but if you enjoy seafood and a tranquil view of a gently flowing river, you will enjoy the Blackwater Inn. The menu includes full entrees as well as soups and sandwiches. Fried oysters are a specialty, along with fish sandwiches, clam chowder, shrimp, catfish and scallops along with other fish specials of the day. You can even get frog legs, chicken wings and crab legs. One of the house specialties is grilled quail. My favorite is the Florida Cracker Platter for $17.99 with 3 oz. of gator tail, 3 oz. of frog legs, 6 oz. of fingerling catfish, all breaded and deep-fried. Many meals come with your choice of clam chowder or the salad bar, vegetables, baked potato or french fries, or rice pilaf. You can also get hushpuppies for an extra charge but they are worth it. The small salad bar has plenty of fresh items, and there are also entrees for meat lovers such as prime rib and hamburgers, filet mignon and New York strip. 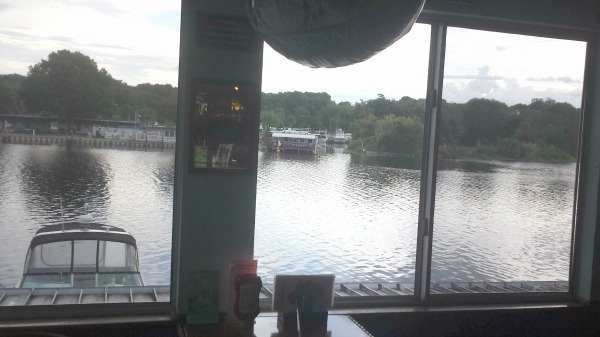 The restaurant also has an open bar upstairs called William's Landing with a limited menu and a good river view so you can soak in the Old Florida scenery. Thanks for continuing to subscribe to Florida Heritage monthly e-zine. 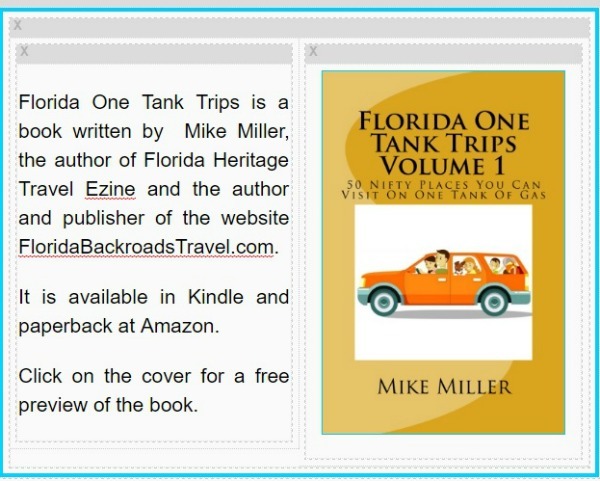 Our website, FloridaBackroadsTravel.com continues to grow, and we hope you enjoy these updates. November is a great month in Florida. Our air conditioners are turned off most of the time. Many of the snowbirds are still up north so the lines are still short at our local restaurants. FLORIDA BEACHES. Almost anything you decide to do in Florida can be enhanced by spending some quality time at a great beach, and best beaches in Florida will guide you in the right direction. FLORIDA AUTHORS. Any time is a good time to read a book by a Florida author. Our most visited author page is now that of Randy Wayne White, the creator of adventurous marine biologist Doc Ford, followed closely by Tim Dorsey and his unlikely protagonist, serial killer Serge Storms. We recently added a page about Robert N. Macomber, an award winning author who specializes in historical novels featuring the U.S. Navy and Captain Peter Wake. IF YOU ARE NOT A SUBSCRIBER TO FLORIDA HERITAGE TRAVELAND WOULD LIKE TO BECOME ONE, GO TO OUR HOME PAGE AND SUBSCRIBE!